All during the holiday week last week, I accumulated quite a bit of fuel for future blog posts. Three were all set in the hopper and ready to go! Did you guys know I'm allergic to technology? Well, I'm allergic to technology. ESPECIALLY when it comes to my phone. I may or may not have dropped my phone into a pedicure basin and on a separate occasion into a CUP OF WATER, but whatever. So on Sunday, feeling especially Christmas-y and cheerful, I decided to upload Christmas music onto my phone from iTunes. I plugged the phone into my computer, it asked me a few questions - which I chose to not read and just hit "Okay" - (Here's a tip: READ THE QUESTIONS. Gah. ), it began some sort of uploading process, and proceeded to DELETE ALL OF MY PHOTOS. Oh but Kim, you're an educated individual, surely you had backed everything up! So this week I would have told you about my lovely lunch at Black Walnut Cafe with my wonderful friend Melinda from high school. I would have told you a funny story about how the foundation of our friendship started on our mutual love for the Backstreet Boys (more specifically, Nick Carter, duh.). I would have told you that on her way to meet me, the radio station she was listening to was giving out two Backstreet Boys concert tickets to the 96th caller, so she figured what the hell, called in, AND WON. I would have told you how giddy we were, how much we enjoyed our soups and salads at Black Walnut, and how it was the perfect spot for us to catch up and reminisce about our 16-year old selves. I would have also told you about the DELICIOUS dinner my parents, sister, and I had at La Griglia, where we celebrated my mom and dad's thirty years of marriage. I would have gone into detail about the RIDONCULOUS beef carpaccio, the unbelievably tender short ribs, and Lordy that cheesecake. I would have discussed our awesome server and how La Griglia was a wonderful place to celebrate such a special event. Furthermore, I would have told you about my first experience at Torchy's Tacos and the PHENOMENAL Wrangler breakfast taco I had. Brisket on a breakfast taco? Seriously? YOU'VE GOT TO BE KIDDING ME. I would have noted that my mom and I had just run 13 miles, and the promise of this taco was what got me through the last 2 miles. But unfortunately, I don't have the photos to back all of this up, so you're going to have to take my word for it: It was all amazing. And on the bright side, this means I get to go back! And tell you more about those places! Yay! 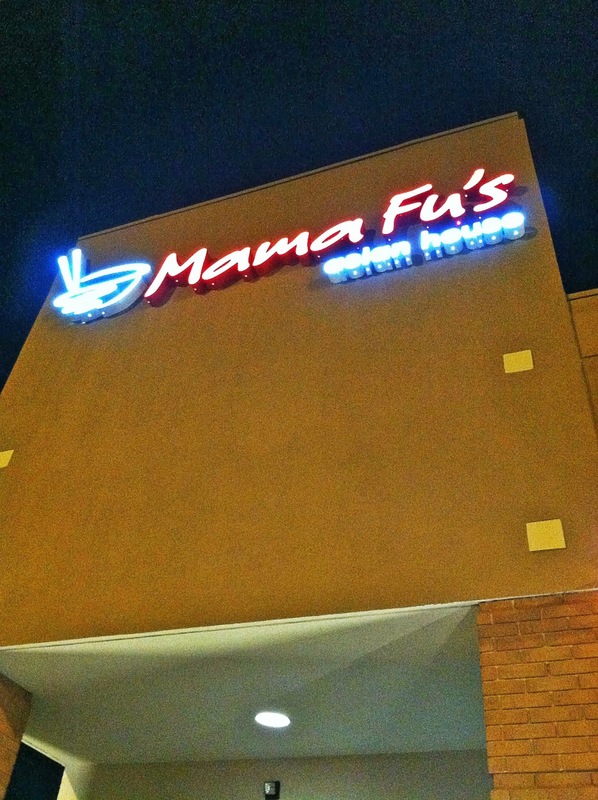 Yesterday was my dad's birthday, and he decided he wanted to try out the new Mama Fu's in River Oaks. I placed an order for takeout and picked it up. 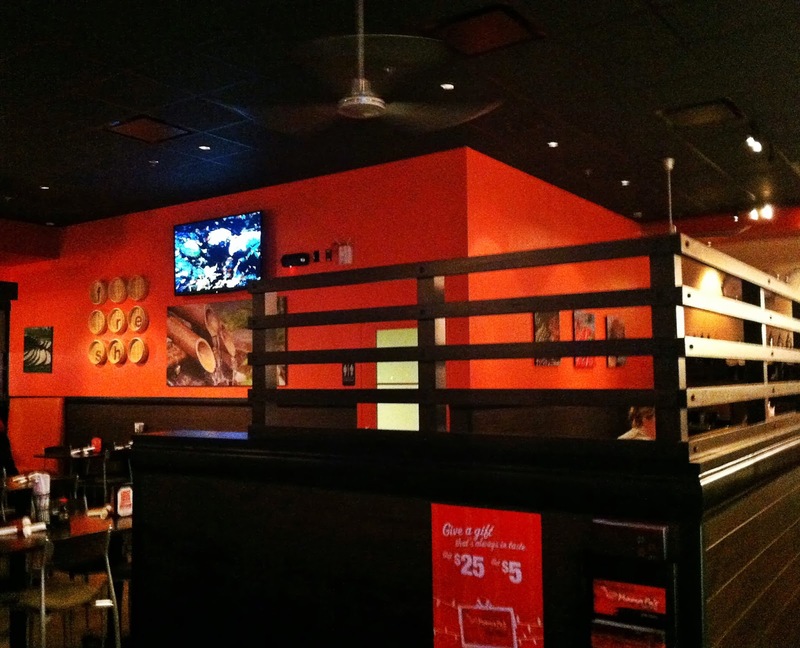 It's a very clean and sleek order-at-the-counter restaurant. The employees were all beyond friendly and offered me a points card (uh, YES). To feed my dad, myself, and our good friends Lenny and Christy (Mom was out of town), we ordered Wonton Soup, Pot Stickers, Chicken Lettuce Wraps, Chicken Lo Mein, Sichuan Kung Pao Chicken, and Ginger Broccoli with Beef. Everything was pretty great. 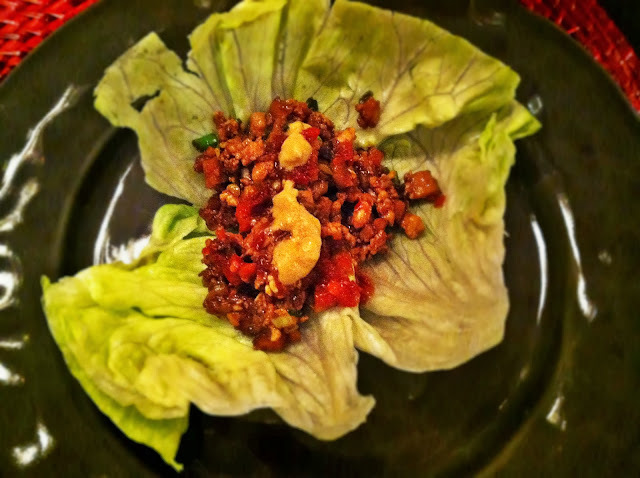 While the Lettuce Wraps weren't at a P.F. 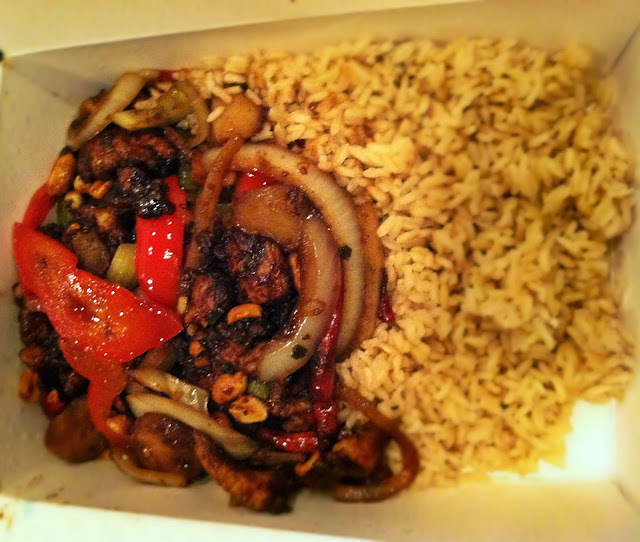 Chang's level of Awesome, they were definitely good. The meat was great, but I personally prefer my lettuce wraps more trashed up with things like crispy noodles, 8 million sauces, etc. 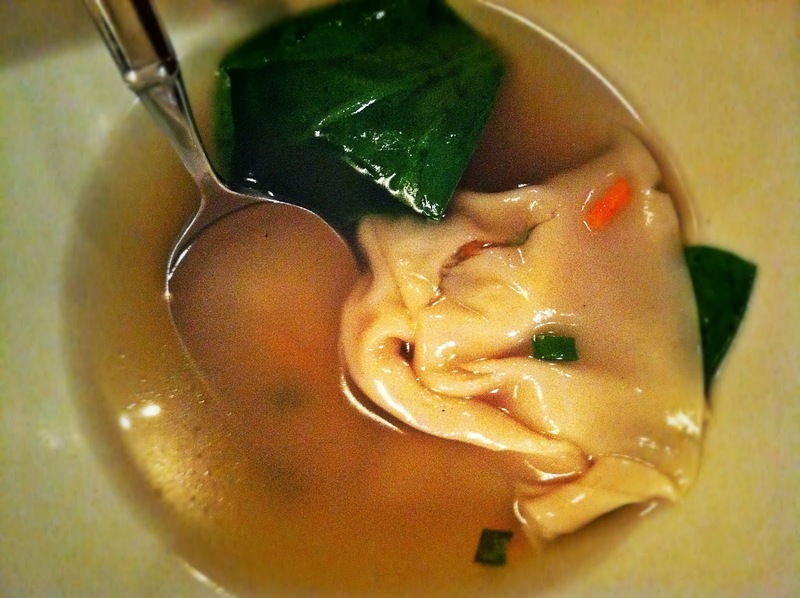 The Wonton Soup was nice and salty. It was light, delicious, and everything you could want in wonton soup. The Chicken Lo Mein was awesome. 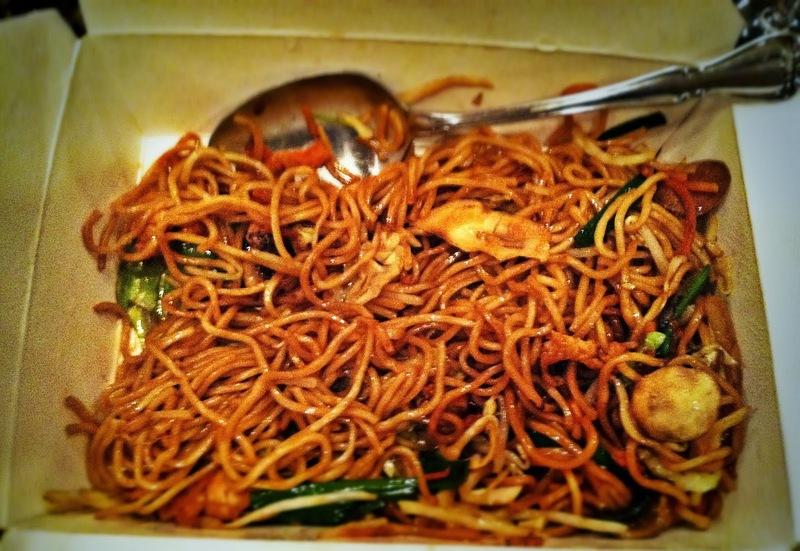 It was pretty standard for lo mein, but definitely flavorful and satisfying. The Ginger Broccoli with Beef was a great twist on the standard Beef with Broccoli. The hint of ginger definitely brought this dish to a whole new level. The Sichuan Kung Pao Chicken was also a unique divergence of a standard dish. Spicy, juicy, and delicious. The only thing I wasn't crazy about were the Pot Stickers. They were fine, but a little dry. Nothing too exciting. 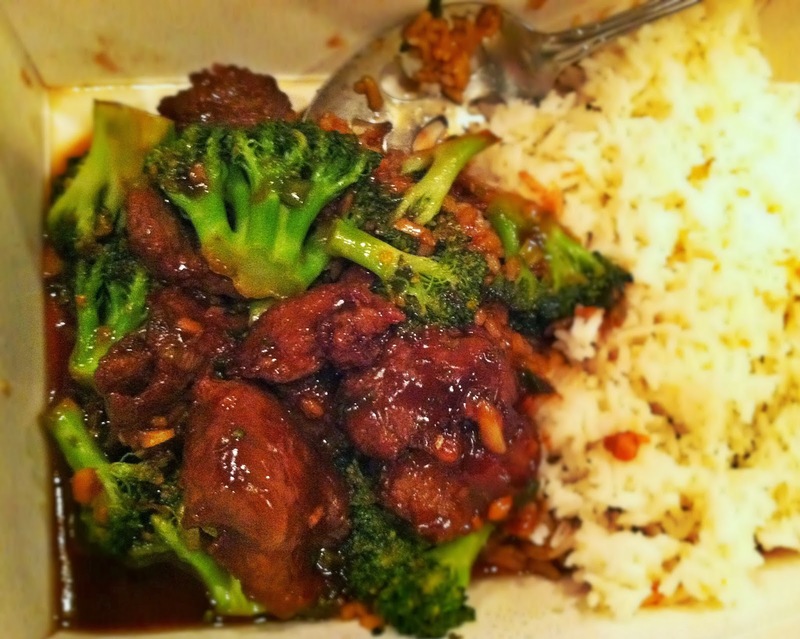 Mama Fu's is a national chain, and I wouldn't say that it struck me as the best Chinese food I've ever had. 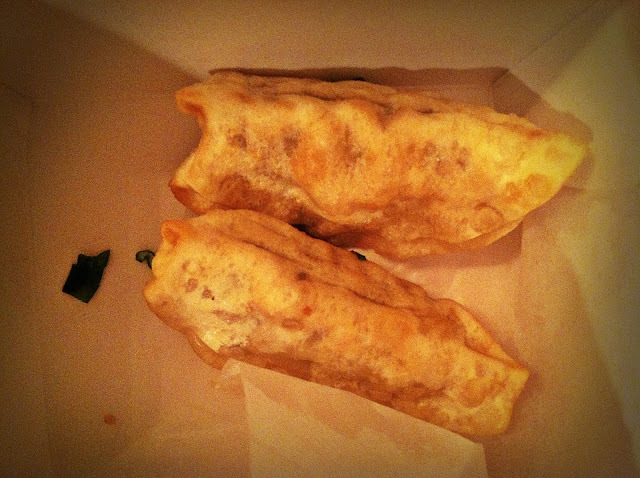 But it was definitely good, and for a random weeknight takeout run, it's a great spot to check out! And if you're looking for a good dessert in the area, you can't go wrong with Trader Joe's Chocolate Dilemma Cheesecake. Good. God.